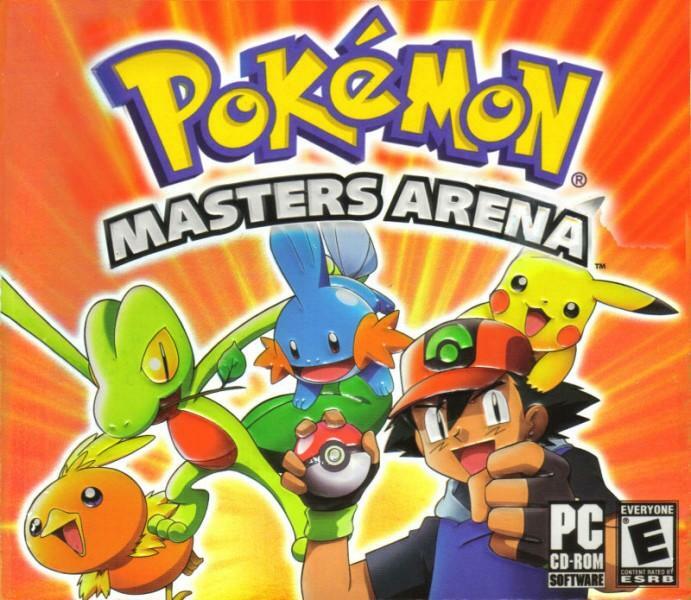 Pokemon Masters Arena is a spin off title in the Pokemon series for the PC; it comprises eight different mini games and the player must prove their worth in all of them if they want to become a Pokémon Master. 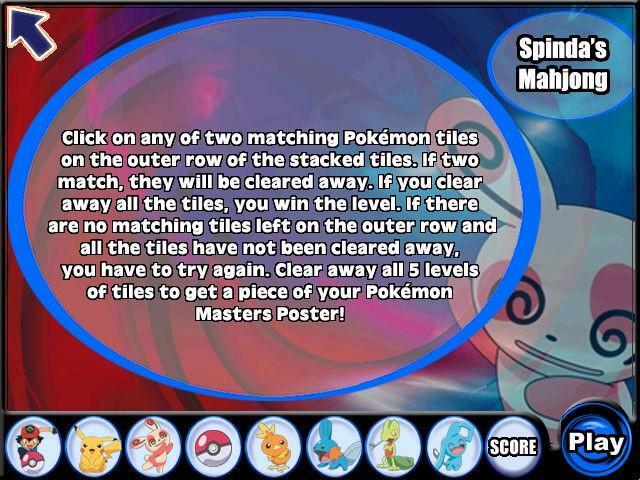 Once the player has defeated all eight of the mini games they are rewarded with eight printable posters. 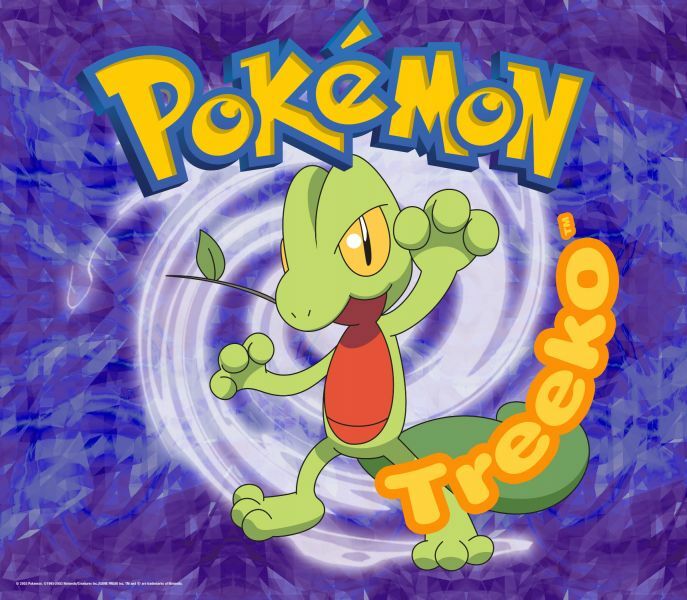 Most of the posters relate to the hosts of the mini games for example there is a poster featuring Treecko, Mudkip, Spinda, Pikachu and Wynaut who all feature in a mini game each. 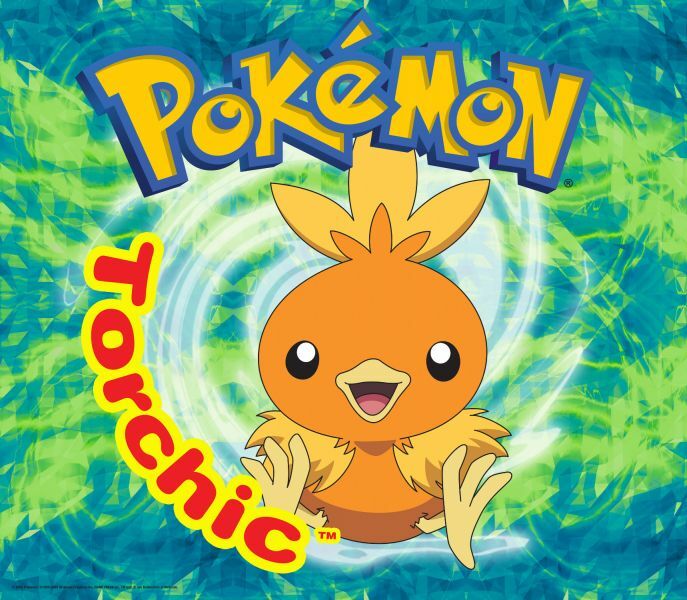 The title works on Windows 98, ME and XP and if you chose the light install it only took up 80mb of space... those were the days! 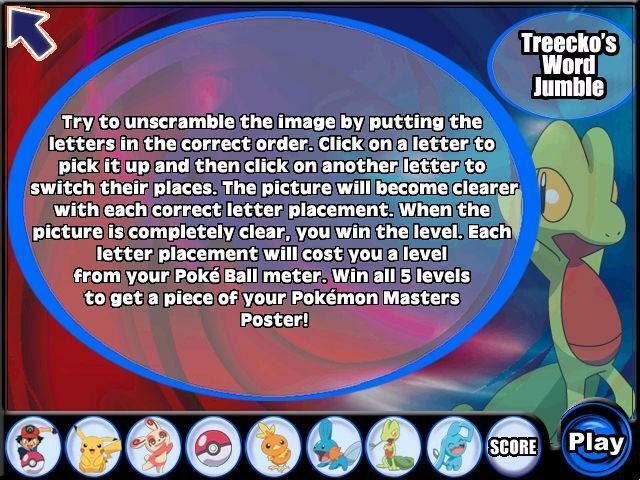 Treecko’s Word Jumble: Can you uncover the names of the Pokémon from the blurred picture? 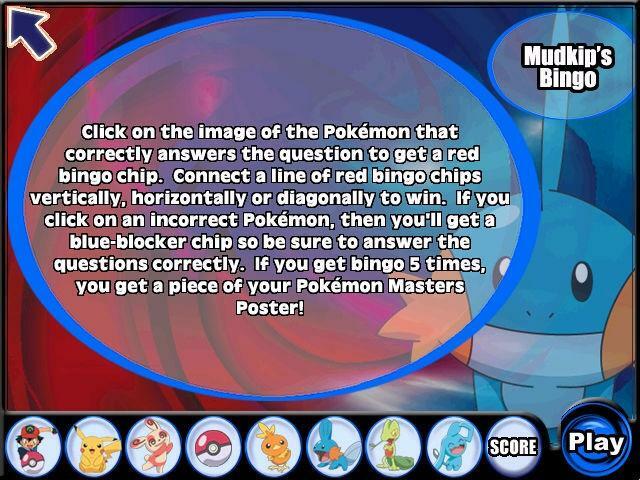 Every time you guess a letter incorrectly the picture becomes more visible. 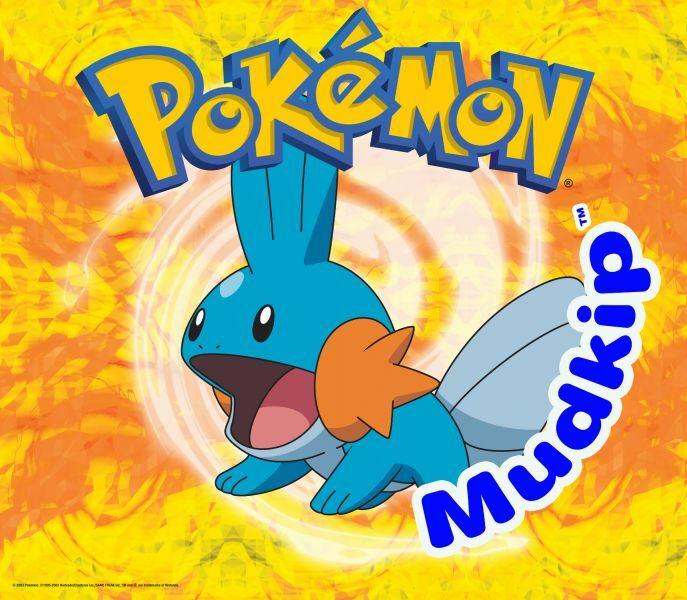 Mudkip’s Bingo: The player gets asked a question and has to select the correct answer from a couple of different Pokemon. Each time the player gets it right they win a chip, if the player gets a couple of consecutive wins in a row they win the game. 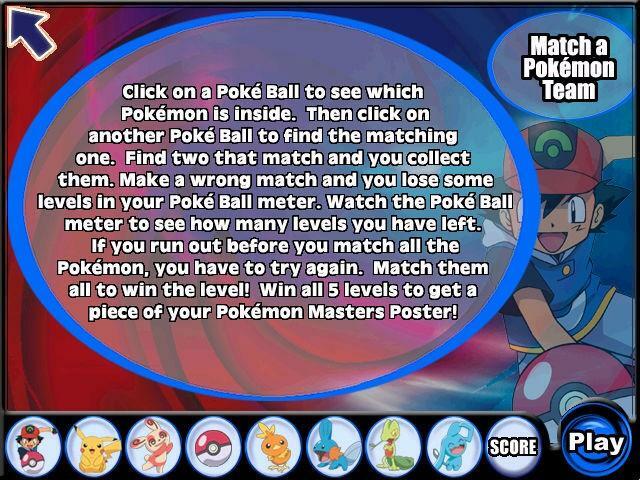 Match a Pokémon Team: Click on a Pokéball to find out whats inside and then try to find the Pokémon that matches it. 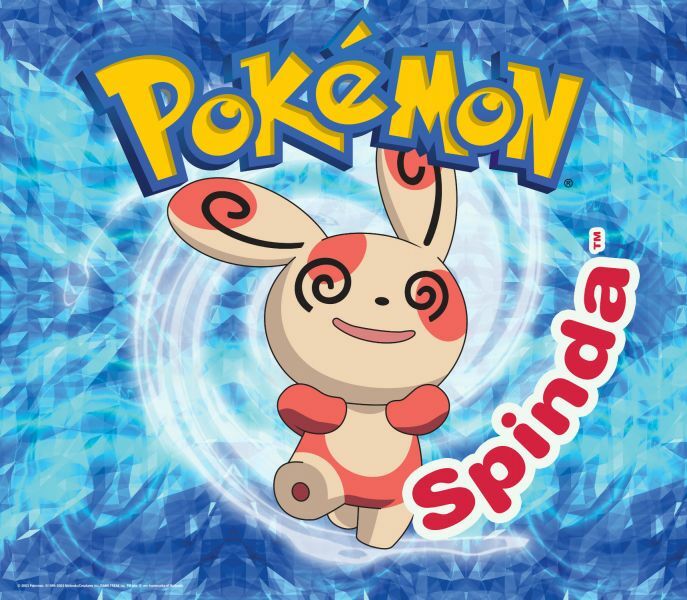 Spinda’s Mahjong: Mahjong is a card based game featuring Pokémon from the Hoenn region. 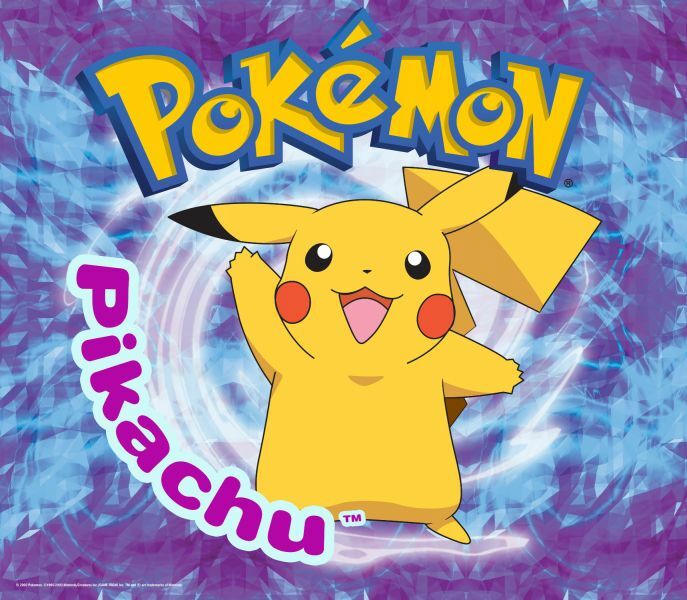 Pikachu’s Picture Puzzle: Just like a jigsaw puzzle, can you solve the puzzle within the allowed number of terms and defeat Gamesmaster Pikachu? 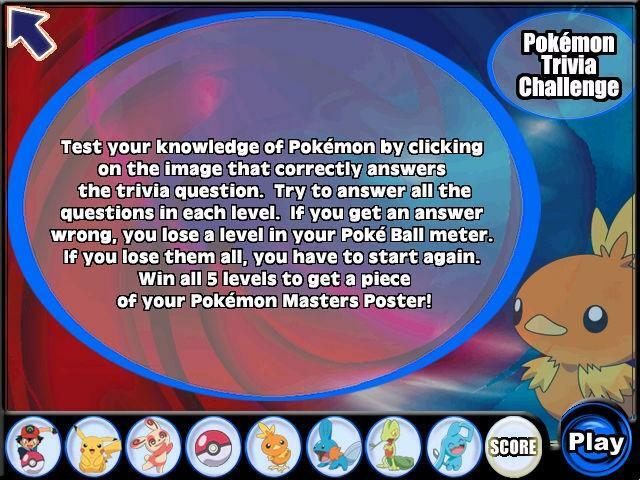 Pokémon Trivia Challenge: You will be asked a question about three different Pokémon. Are you an experienced enough trainer to prove your question answering prowess? 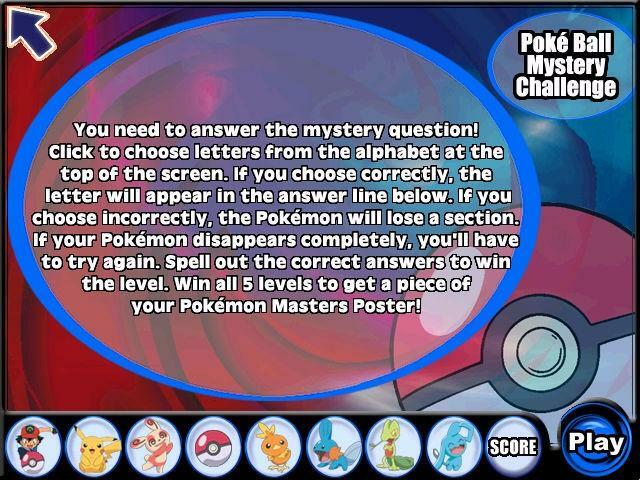 Poké Ball Mystery Challenge: Imagine a Pokémon variant on hang-man.... Hang-Mon? 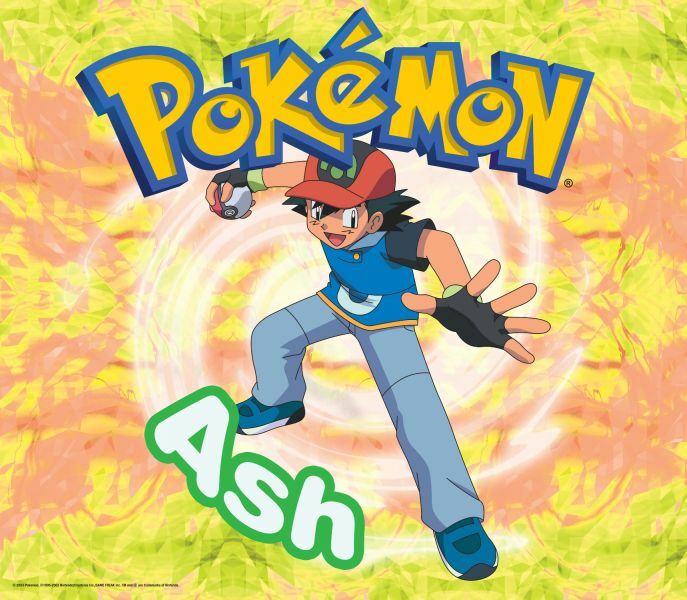 A question will be asked and you have to spell out the correct Pokemon's name to answer it. 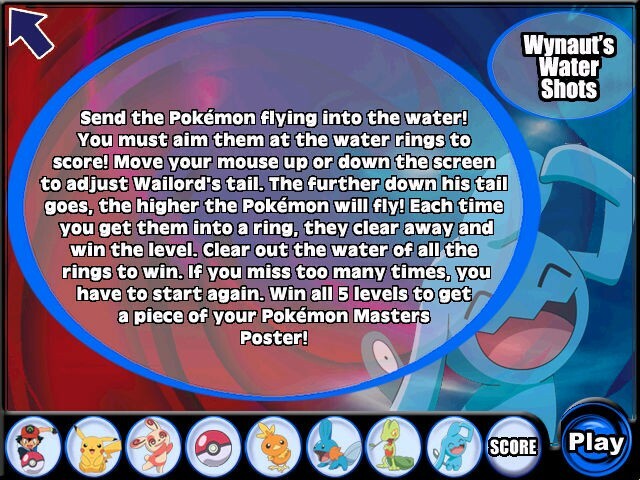 Wynaut’s Water Shots - Using the tail of a Wailord as a flipper try to flick the Pokéball into the floating life rings to win the game. 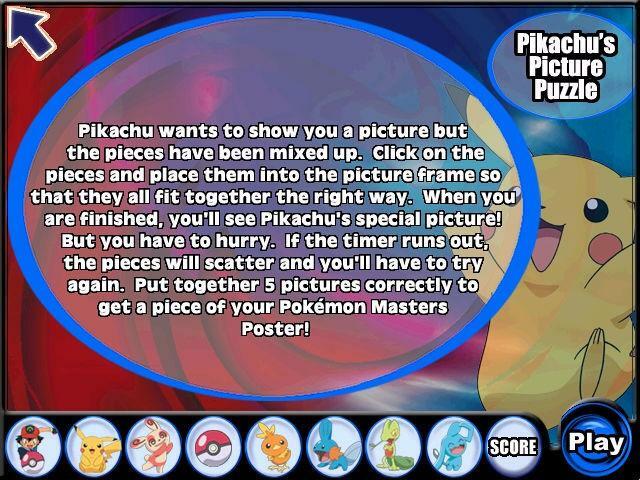 Don't want to beat all eight mini games for those reward posters? No problem, just download them below. 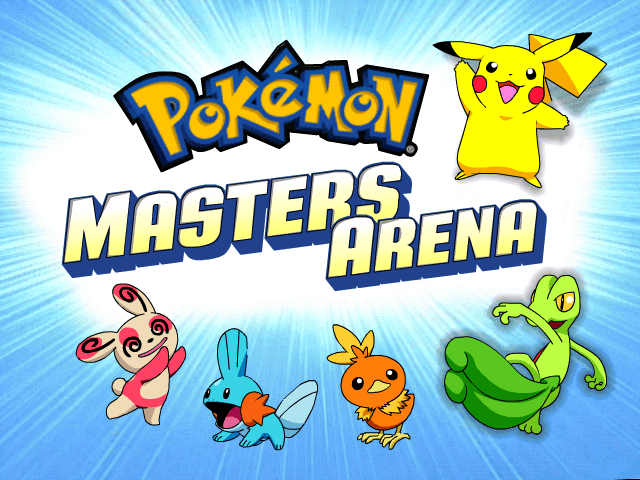 Check out these videos from Pokemon Masters Arena. An unused music track which was found in the game data but was never utilised in the final release. The people, companies and studios who created Pokemon Masters Arena. 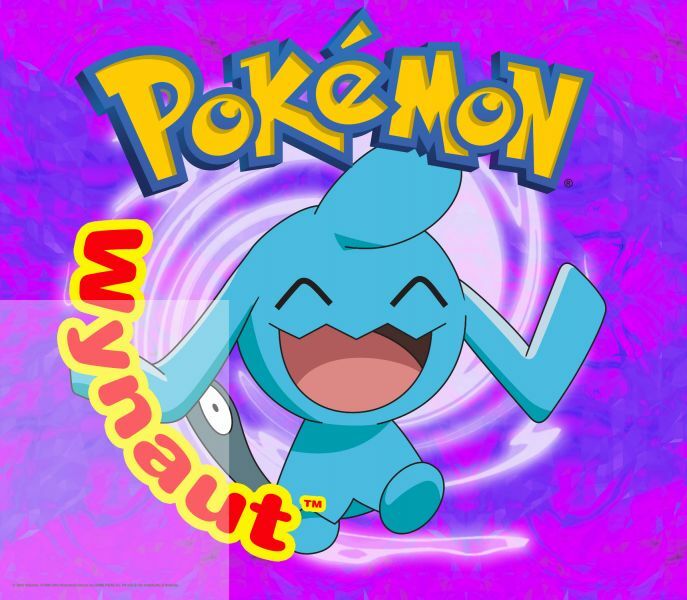 With Special Thanks To The Pokémon Company, Shogakukan Production Co. Ltd., 4Kids Productions Inc. Uses Smacker Video Technology Copyright [c] 1994-2002 by RAD Game Tools Inc. 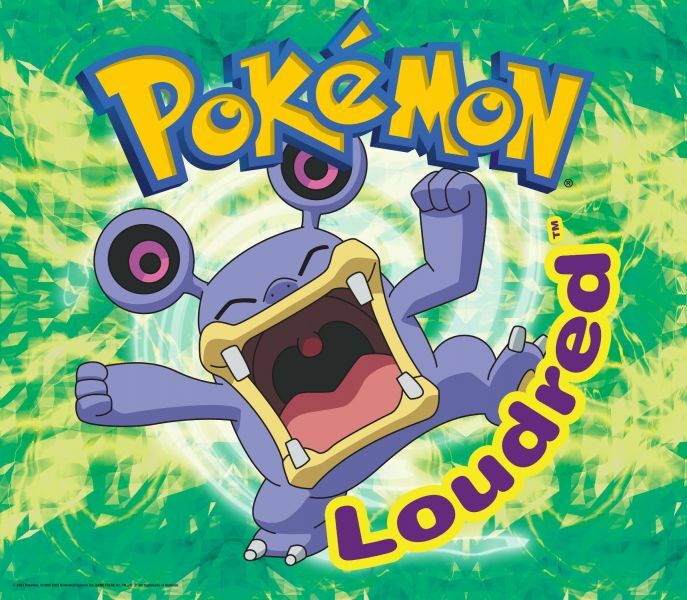 Uses Miles Sound System Copyright [c] 1991-2002 by RAD Game Tools Inc.